Purchases - Premier Used Truck Parts Ltd.
We ensure a safe transaction when our customers purchase anything from us. 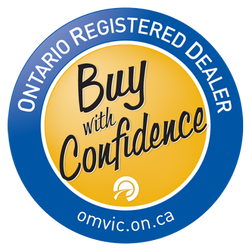 We are an Ontario Registered Dealer, and a member of the Used Car Dealers Association of Ontario. As a dealer, we guarantee that the vehicles/trucks we sell don’t have any liens against them. We will also supply you with all known material facts about a vehicle/truck, such as previous accidents. At Premier Used Truck Parts Ltd. we are dedicated to providing the best possible service to our customers. With our extensive knowledge and large selection of used truck parts, we strive to meet all of your truck part needs. Our experienced employees will find a quality part that is right for you, at a reasonable and affordable cost.